IMO your plan is fine. But pull requests work in any git environment. Github just makes them fancy. Anybody can ask you to pull from a branch or from another repo - they just have to give you the URL or branch to pull from. I've been really excited about Drupal Commerce, but when do you think it'll be ready for a production site? I'm working for a small business and we have very peculiar needs for our order's data structure which Drupal Ecommerce and Ubercart don't really meet. Drupal Commerce however seems flexible to meet those needs and more. 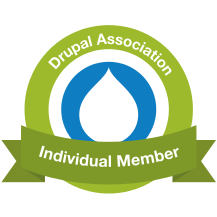 Right now I'm building their site in Drupal 6 just because so many of the Drupal 7 modules are still beta or unstable, but in the future I definitely want to make the leap to Drupal 7 and I'm looking forward to utilizing Drupal Commerce in that conversion. Keep up the good work.